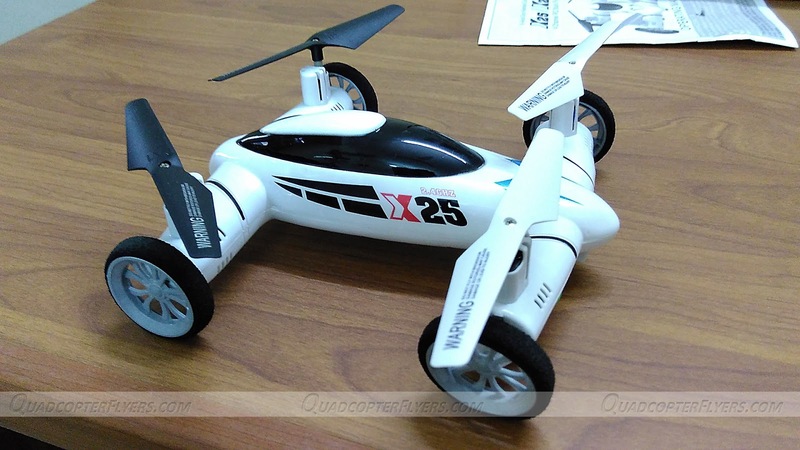 Having seen SY X25 and Syma X9 dual mode Flying quadcopters, Its time for JJRC to revive the concept of quadcars, with the launch of new JJRC H23. Before we actually learn more about the new JJRC H23 Quadcopter , its features and specifications, i recommend to check out my detailed review of SY X25 and Syma X9 Here. 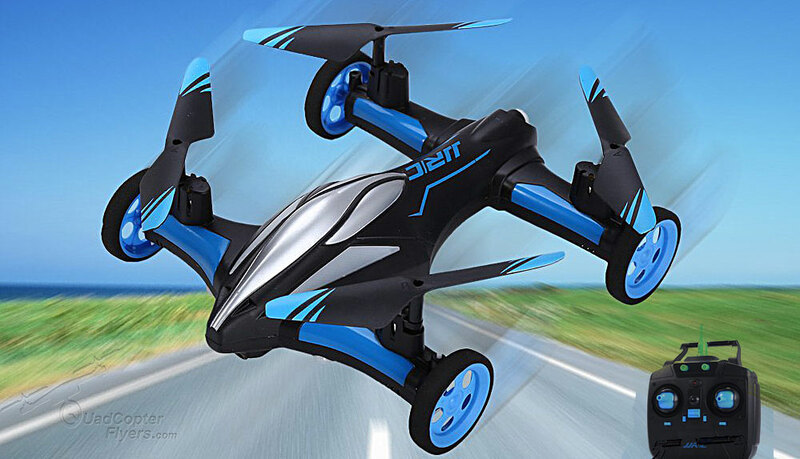 JJRC H23 quadcopter has a completely refreshing look when compared to the Syma X9 and SY X25. The body seems to got a different design, looks sharp and sportive. H23 will be available in blue and black colour combination - The JJRC trademark colors. As per the specs, Product just weighs 114 grams, too light - but in my view the powerful motors (as experienced with the SY X25) would allow to fly in the windy conditions. The foam kind of wheels would ware out when driven on the rough surfaces, probably JJRC would have considered to enhance the wheels (X9S did it), keeping in mind that these conceptual two in one flyers would be most liked by the kids. H23 comes with the standard JJRC 2.4 GHZ transmitter, as seen in most of the Syma transmitters there no digital LCD which indicates the battery status, trim levels. So its only through the beeps that you have to understand and assume the transmitter functions .for your quick reference, the below picture describes the options of the transmitter (video/camera, point to note. 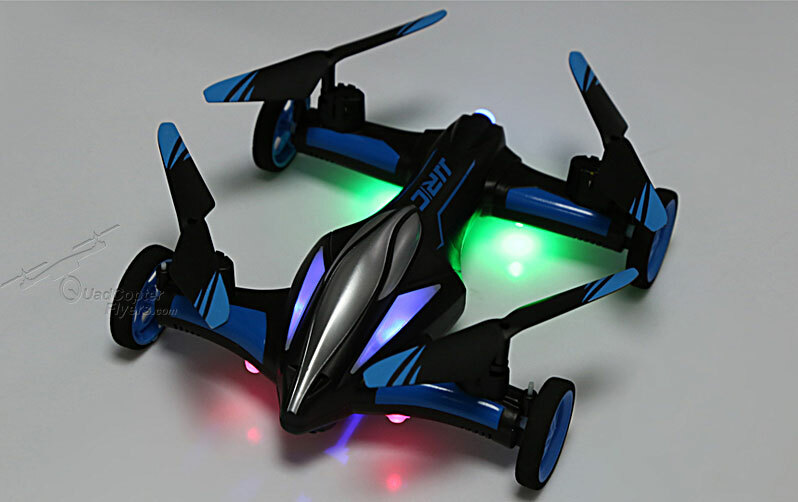 As per the initial specifications JJRC H23 Comes with 3.7 volts 750mah Lithium Polymer battery and the flight time is 6- 7 minutes approximately. 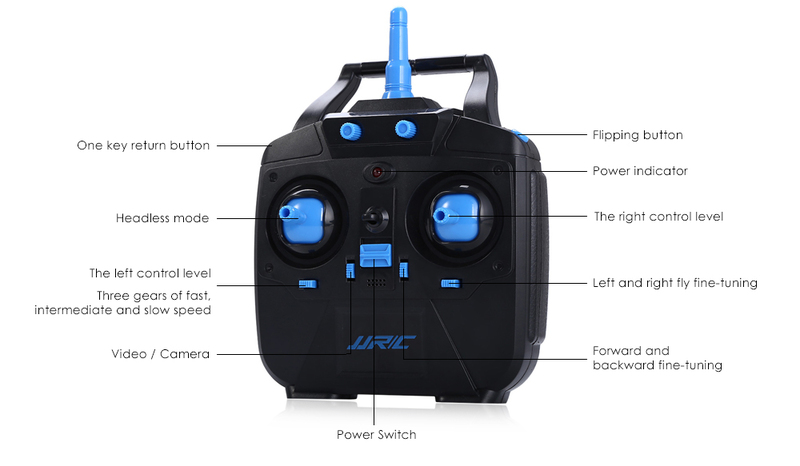 The full recharge cycle takes about 60 minutes, i recommend having a spare battery if you would like to have more fun flying experience with H23. Will there be a Camera Variant? If you have a closer look at the underside of the H23 Quadcopter, there is a SD card slot provisioned and the font design also reveals that there is an option for camera. In-addition, the transmitter buttons also describe a video/camera feature, which means there will be camera variant available? time will reveal this. Worth to mention, the Sy X25 has both Camera and non camera versions while the Syma x9 Series does not come with any kind of camera. 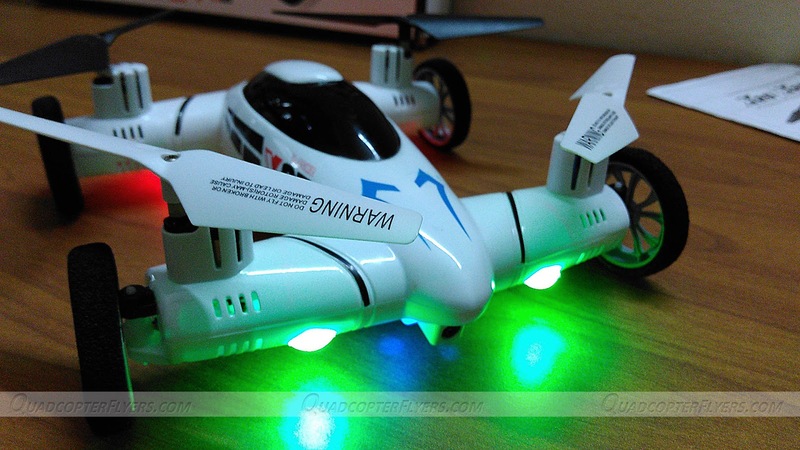 Oney Key automatic return to home, most useful if you lose sight of the drone when flying far away. CF Mode, which is also called headless mode, the most handy feature for beginners not to bother about the orientation. Really cool idea, at Geekbuying it's $32 right now.